OYO – South Asia’s largest and world’s fastest growing hotel chain – today inked a Memorandum of Understanding (MoU) with the Government of Uttarakhand. With this signing, OYO Hotels has committed an investment worth INR 500 Crore to boost the tourism potential of the state by building a robust hospitality ecosystem. As part of this MoU, OYO Hotels will be expanding its chain in the region by adding over 35,000 rooms in cities including Dehradun, Mussoorie, Rishikesh, Haridwar, Haldwani, Kashipur, Nainital, Mukteshwar, Bhawali, Bhimtal, Roorkee, Almora, Lansdowne, Binsar and Ranikhet. Launched in May 2013, OYO Hotel’s mission is to create quality living spaces, anywhere, for everyone. OYO has been a frontrunner in modernizing small and budget hotels, thereby generating new employment opportunities in small cities and towns while enabling the constant availability of standardized and quality accommodation for travellers. With a diverse portfolio – OYO Rooms in the budget segment, OYO Townhouse, OYO Home, Edition O and SilverKey in the mid-market category and Palette Resorts in the luxury segment – the chain caters to an array of travellers. Globally, OYO chain of hotels is present in over 350 cities with over 10,000 asset partners spread across five countries including India, China, Malaysia, Nepal, and the UK. OYO Hotels has pioneered the world’s first full stack technology led hospitality model and has over 250,000 franchised and leased rooms as a part of the chain, delivering strong revenue yields for its asset partners. 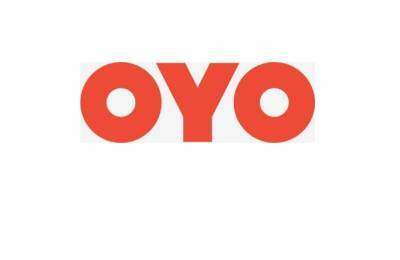 With its supply on-boarding and transformation capabilities, OYO can successfully sign and convert a hotel from an independent entity and make it a part of OYO's branded chain of hotels in a short period of 3 to 15 days, which is a sharp disruption to the present industry norms worldwide. OYO works closely with asset partners while ensuring a quality living experience for guests, promising benefits to both. OYO Hotels host more than 125,000 stayed room nights every single day, a testament to its impact on millions of guests across the world.